An Intimate Evening with Dr. Richard Tedeschi to benefit the Georgia Psychological Foundation. Enjoy hors d’oeuvres, beverages, exciting drawings and live music. Registration for this event is separate from the Annual Meeting. *Special thanks to Dr. Richard Blue, Dr. John Paddock and Dr. Karen Schwartz, Dr. Steve Perlow, Dr. Beth Seidel, Dr. Peter Thomas, Dr. Cal Vanderplate, Dr. Judy Wolman, Dr. Nancy Bliwise, Dr. Andrew Gothard and Dr. David Woodsfellow for making this event possible. 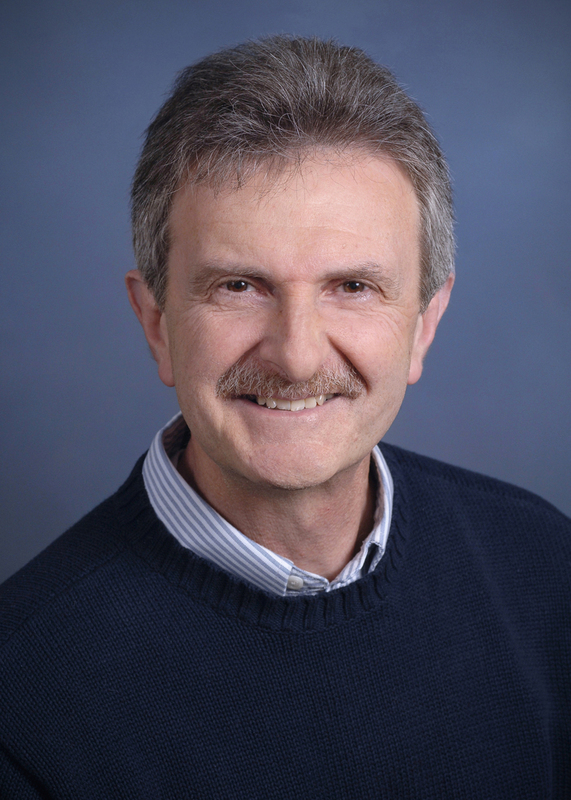 The Georgia Psychological Foundation invites you to to attend An Intimate Evening with Dr. Richard Tedeschi (2019 Annual Meeting Keynote Speaker). The fundraiser will benefit the Georgia Psychological Foundation. Join us poolside at the Marriott Century Center. This fundraiser includes the opportunity to speak with Dr. Richard Tedeschi about his work in posttraumatic growth, network with your colleagues and the leadership of the Foundation and GPA. Drawing Level 1- $250 for a chance to win Vacation Getaways to Carrabelle, FL and Mexico! Drawing Level 2- $150 for a chance to win Vacation Getaways to Lake Arrowhead or Athens! Drawing Level 3- $100 for a chance to win Wine or Gift Basket! Drawing Level 4- $50 for a chance to win a Massage, Gift Basket or Gift Card! Attendance at the event is not required to enter the Prize Drawing. If you do not wish to attend the event, but do want to enter the Prize Drawing, click here to purchase your ticket: https://gapsychology.site-ym.com/store/ListProducts.aspx?catid=715189. Special thanks to Dr. Betsy Gard, Dr. Maggie Martin, the Graduate Hotel, Dr. Beth Seidel, Dr. Gayle Spears, Dr. Joanne Peeler, Dr. Joanne Max, Dr. Peter Thomas, Dr. Eleanor McMahan, Dr. Jennifer L. Smith, and Dr. Kamieka Gabriel for donating these fabulous prizes! Notes: In the event of inclement weather, the event will be held in the Centennial Ballroom. Online registration ends on 4/7/2019, but you may also purchase tickets at the door if there are spaces available. Purpose: To contribute to the health and well-being of the public in the state of Georgia through psychological services, research, education, and training. Mission: To build a collaborative network to increase visibility and value of psychology. Vision: To expand the impact of psychology in Georgia. GPF is now sponsoring: the Disaster Response Network, the Pro Bono committee, and the Refugee Mental Health Network. The Foundation’s focus is on promoting Resilience and Growth in the face of Adversity. With this in mind, GPF is sponsoring Keynote Speaker, Dr. Richard Tedeschi, for a 3-hour CE workshop at the 2019 Annual Meeting. He is an expert in the area of posttraumatic growth. Immediately following the Annual Meeting, GPF will be sponsoring a free outreach workshop with Dr. Mark Evces to Georgia First Responders on how to best deal with the stresses they face in their professions. GPF is also planning a free workshop (including CE hours) to train new psychologists for the Disaster Response Network. Support the work of the Georgia Psychological Foundation by attending this exciting evening with Dr. Richard Tedeschi! Register early as spaces are limited. These Official Rules govern the conduct of the Door Prize Drawings and are binding on everyone who acquires a Door Prize ticket and/or who is named on a Door Prize ticket. The Door Prize Drawing is an activity of the Georgia Psychological Foundation, which is a not for profit, 501(c)(3) charitable organization, with an address of 13 Corporate Blvd. NE, Suite 220, Atlanta, GA 30329. The Georgia Psychological Foundation (GPF) endeavors to contribute to the health and well-being of the public in the state of Georgia through psychological services, research, education, and training. Each admission ticket holder is given entry into the GPF Door Prize Drawing. The drawings will occur on April 13, 2019 between 5:30 and 7:00pm. Prize winners will be chosen from the ticket holders in drawings according to ticket level designation. The winners do not need to be present to win. The Door Prize prize winners shall win a prize purchased with funds from contributions or donated to GPF at no charge to the Door Prize participants. There shall be no substitutions, no cash refunds, and no cash or other substitutions. Each Door Prize winner assumes and must pay all fees and charges (including, but not limited to, local, state and federal taxes) when the prize is transferred to the winner. In addition, all costs of ownership, are the Door Prize winner’s sole responsibility. The winner should consult with his/her financial adviser. GPF assumes no responsibility for a prize winner’s tax obligations and suggests you consult your tax adviser. GPF is not responsible for the prize’s quality nor shall GPF have any responsibility once the prize has been conveyed or delivered to the winner. It is the winner’s responsibility to make arrangements to pick up or have the prize delivered. Only ticket holders with validly obtained admission tickets are eligible to participate in the Door Prize Drawings. GPF reserves the right to disqualify any entrant for violation of these Official Rules, any applicable laws, or who makes any misrepresentations relative to this drawing. No Refunds Available. GPF assumes no responsibility for lost, late, misdirected, or non-delivered mail or electronic transmissions. GPF reserves the right to limit the number of tickets distributed to each person. The admission ticket for the GPF Fundraiser may be obtained at https://www.gapsychology.org/event/2019FoundationFundraiser. The drawings will occur on April 13, 2019 between 5:30 and 7:00pm. Prize winners will be chosen from the ticket holders according to level designation. The winners do not need to be present to win. By participating in this Door Prize Drawing, all admission ticket purchasers and everyone named on an admission ticket accept and agree to be bound by all the rules, limitations and restrictions set forth here. By participating in this Door Prize Drawing, each participant releases GPF and each of their respective directors, officers, and agents from any and all liability for injuries, losses or damages of any kind caused by any prize or resulting from acceptance, possession, use or misuse of any prize, and each winner agrees to indemnify and hold GPF and each of their respective directors, officers, and agents harmless from any and all losses, damages, costs, expenses, rights, claims and actions of any kind arising in connection with or as a result of the winner’s acceptance or use of any prize. No refunds are available. GPF assumes no responsibility for lost, late, misdirected or non-delivered mail or electronic communications, or any other failure to receive ticket orders or deliver receipts prior to the drawing. A drawing participant’s sole and exclusive remedy for GPS’s breach shall be limited to the return of the amount paid for his or her admission ticket(s). In no event shall GPF or their respective directors, officers, members, committee members, agents, contractors, advisers, or representatives be liable to any party for any loss or injuries to earnings, profits or goodwill, or for any incidental, special, punitive or consequential damages of any person or entity.